The smartphone: the ubiquitous device that’s part of all of our daily lives. Whether you’re using it to text someone, update your social profile, get directions or the latest offers for a restaurant, there’s no denying that it helps to keep us connected in a multitude of ways. And it’s not just the millennials; we’ve all become accustomed to having our trusted device on hand at all times. This way of life also extends to the world of recruitment – at least for the prospective candidate. According to research carried out by Jobvite 43 percent of candidates carry out job searches on their mobile. However, 59 percent of recruiters don’t have a mobile site. With the continued growth in mobile device use recruiters and hiring managers would do well to look at the way they currently work. This means that mobile should be at the centre of all recruitment strategy – and that includes having the right technology in place to underpin this. As a nation, we’re all time poor these days and crave immediacy. This is something that is rising exponentially and considering the individual owns numerous mobile devices – including smartphones and tablets – the ability to access, interact and communicate faster than ever before continues feeds this desire. This means that recruiters and hiring organisations have to be able to meet these demands if they are to attract the best candidates and engage them fully. In particular millennials expect everything to be accessible on the go. You’ve only got to look at LinkedIn which at the very basic level has brought the CV online. Granted LinkedIn is much more than this, but it does raise the question of whether paper-based CVs are a thing of the past. For one thing, LinkedIn profiles are much more likely to be up-to-date, at least by those that are career searching, because they are so public. For millennials in particular it seems crazy to send a letter and CV for a role, because it’s already there online and seems a ridiculous waste of time to duplicate this effort. Speed and efficiency are of the essence and the application process needs to take this into account. This is why it’s important for all recruiters, whether they are an agency or within an organisation, to put systems and processes in place that can create a completely joined up recruitment process because candidates are making judgements on how efficient an organisation is in their dealings with them – and it reflects on what they think a company is like to work for. Those organisations whose processes and modes of recruitment fit this profile are more likely to get the best candidates. After all, the early bird catches the worm! However, it’s not just the initial application stage that is important but the whole recruitment process in its entirety which includes interviewing and continuous communications, right through the on-boarding stage. This also includes video interactions given the rise of platforms like YouTube as individuals are growing accustomed to using this form of communication. Candidates expect to be able to search, act, update and communicate, and to do all of this through their mobile device is a must. And that’s the key: being able to provide a better candidate experience. There is an argument to say that mobile technology can actually help the process feel more personal and human. Text messaging for instance is both immediate and personal – and easy to respond to. The same applies to social media too. It’s because mobile is inextricably linked into our everyday social lives that it is important for hiring organisations to ensure that the technology they use to support their HR and recruitment processes not only allows them to provide a totally mobile experience but also has social media integration to interact and analyse the success of recruitment drives. Coupled with this is the ability to provide wider media analytics as well as dynamic reporting capabilities and personalised, interactive dashboards so hirers can understand what’s working well for them – and what isn’t so that they can course correct as quickly as possible. 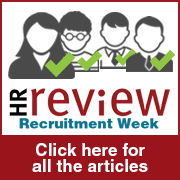 When you consider the cost of recruiting new staff not to mention the hard work involved in selecting the right person, it is critical that organisations keep abreast of the changing behaviours in the way that prospective candidates want to engage. Only by keeping ahead of the recruitment curve can organisations expect to attract – and keep – the best talent.